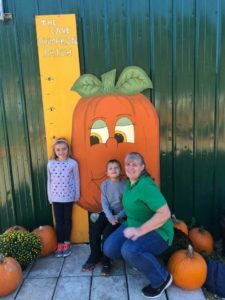 October 2018 Family Update - Adventures with the Tuleys! October was quite a busy month for us this year! Josiah worked two weeks with his intensive therapy, we celebrated Grace’s birthday, spent a few days in Branson with my parents, dentist appointments, haircuts, and doctor visits. 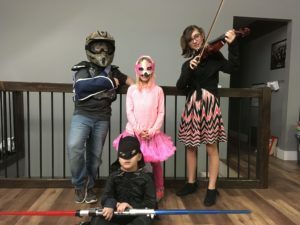 One simply had a well-child visit, one had strep throat, another had an unexplained rash, and the most exciting visit, an ER visit for a broken arm, resulting in a followup with an orthopedic doctor. 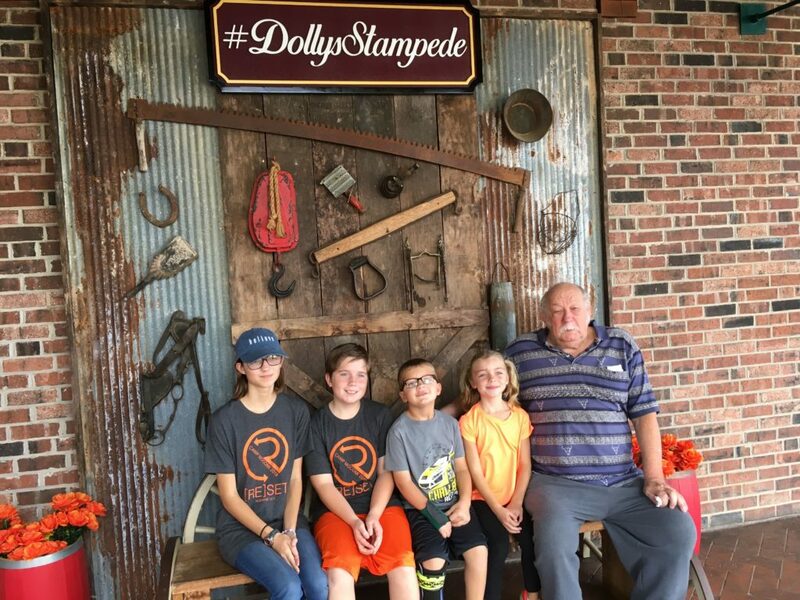 The kids also had dress up days at their schools, student council events, homecoming, youth deer season, trips to see grandmas and grandpas, basketball and archery practices, and several church events, and Halloween. Josiah finished his four weeks of intensive therapy on October 12th. 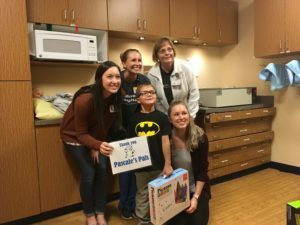 He celebrated with a party and was gifted magnetic tiles, which are his absolute favorite thing to play with at therapy. He was excited to get back into school, but missed quite a bit of the following week due to having strep throat. 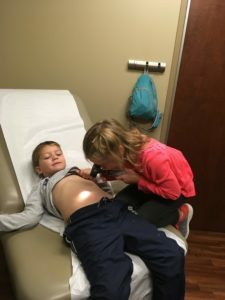 He’s the only one of our kids to get strep, and the only symptom he shows is a sore throat. He was quite a bit more tired, but that can be semi-normal for him even when he’s not sick, so it’s not always a good indicator. He recovered well and has settled back into a good routine. Josiah and one of his Occupational Therapists. 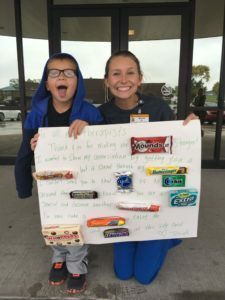 He helped make a thank you card for his therapists to share! Josiah and his magnetic tiles. 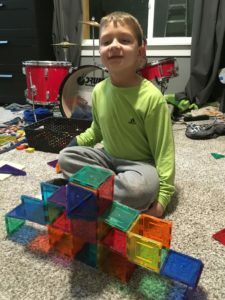 He’s super creative with these, and can build them easily using one hand. It’s such a blessing because he loves to build and create things! On the medical front, we’re waiting on a new brace for his left foot. This will be a new thing for him. The brace won’t be as tall as the one on his right foot is, but will be bigger than the insert he’s worn in the past. He’ll also be getting a new brace for his hand. I’m excited to see how this one works for him. He does really well with the brand we’re getting him, but the brace will have more support for his fingers and hopefully will give him some more movement with his hand. I’m hoping the new brace will be comfortable enough and he’ll adjust to wearing it all day like he does with his current brace, but allow him more control. Right now if he wants to use his hand to take a lid off a marker, he has to take the brace off of his hand. 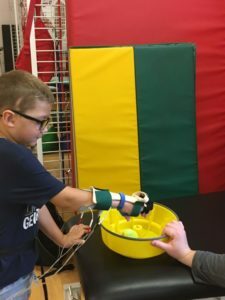 During intensive therapy, he worked on using his right hand to grasp and release objects, and he made excellent progress with it! He’s continuing to practice at home, but it’s not his favorite thing to do. The pictures show Josiah picking up a tennis ball and dropping it into the bucket. 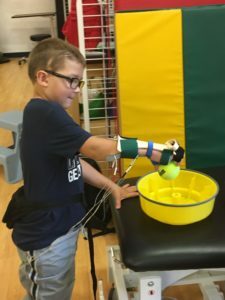 The wires are an E-stem unit, which stimulate his muscles. 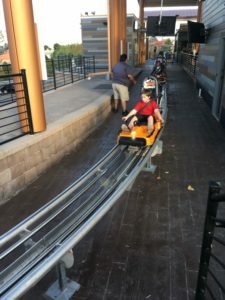 We’ll have one to use at home soon! 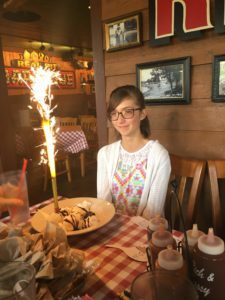 He also told the waiter it was Grace’s birthday so she could get a free dessert – then he told Grace that the dessert was his gift to her. Smart boy! Grace was nice and shared with everyone. 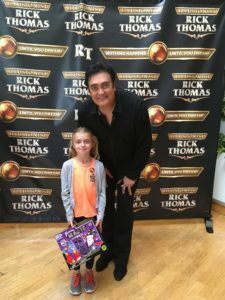 Ruth Ann got to go on stage with Rick Thomas magic. She received her own magic kit, which he signed for her after the show. 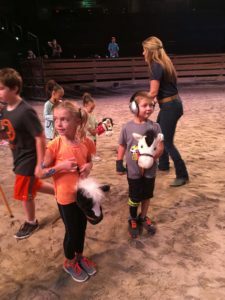 We enjoyed a morning at Dixie Stampede kids day. 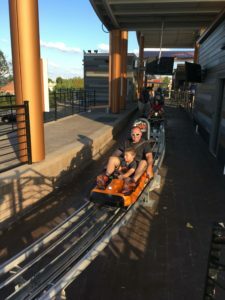 This was Josiah’s first time on a roller coaster and he LOVED it! 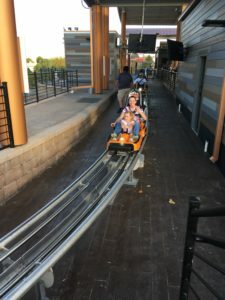 Ruth Ann was a little less sure about the speed, so we used the brakes quite a bit! Ruth Ann loves to play doctor while we wait for the doctor. Josiah is a great patient. The broken arm. It wasn’t bad, and he only needs to wear a brace for four weeks. No cast! And he could take the brace off to shower, which means no stinky arm! 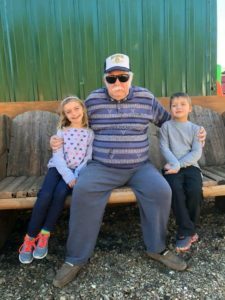 Time at the pumpkin patch with grandma and grandpa. 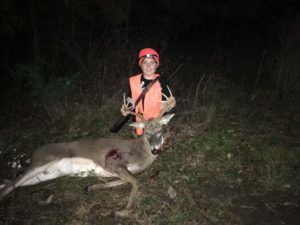 First Buck! This happened during youth season. 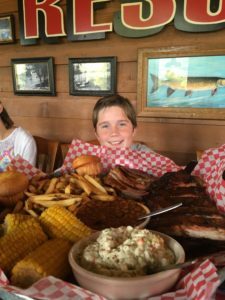 He loves being able to provide meat for our family. 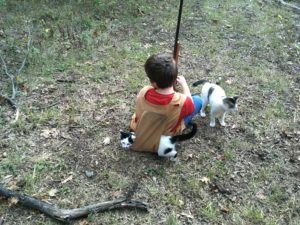 Samuel tried to go squirrel hunting one day and the cats went along. He didn’t have any luck that trip! She loves flamingos, so her costume was fitting. 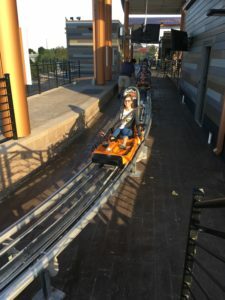 I love this picture of her! 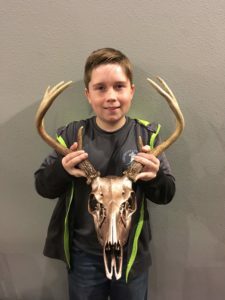 Samuel decided to have a European mount done with his buck. It’ll look good up in his room! Halloween is always a fun way to end the month. 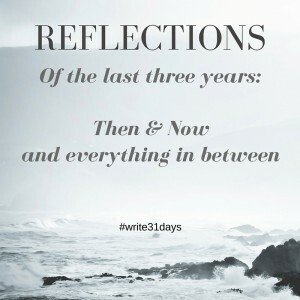 It’s fun to see how creative we can be without going out and spending money on costumes. 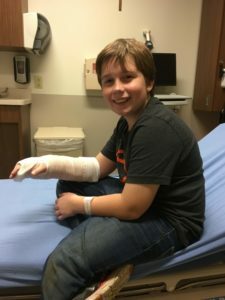 Samuel had all he needed to be a motorcross biker, complete with a broken arm. Grace decided to be Lindsey Stirling, a youtube violinist. Josiah breaks the mold by being batman with a lightsaber. 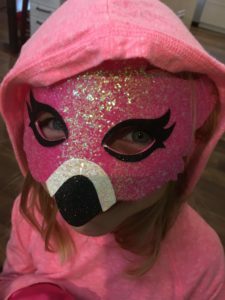 Ruth Ann found this flamingo mask for $3 and had all the pink she needed to go with it.